Every year since moving to Dartford, on a certain weekend during the spring, I get up nice and early, jump on the bike and cycle over to the Anthony Roper School in Eynsford for the Darent Valley 10k race. 2017 was the fourth year of doing this, but it very nearly didn't happen. You see, I had been having some trouble with my ankle and held back on entering the race. However, on the morning of the 2017 race, I woke up and decided to cycle over to the race to support my friends that were running - at this point I definitely was not going to run. I arrived, headed into the school hall and found the rest of my Dartford Harriers running club members. 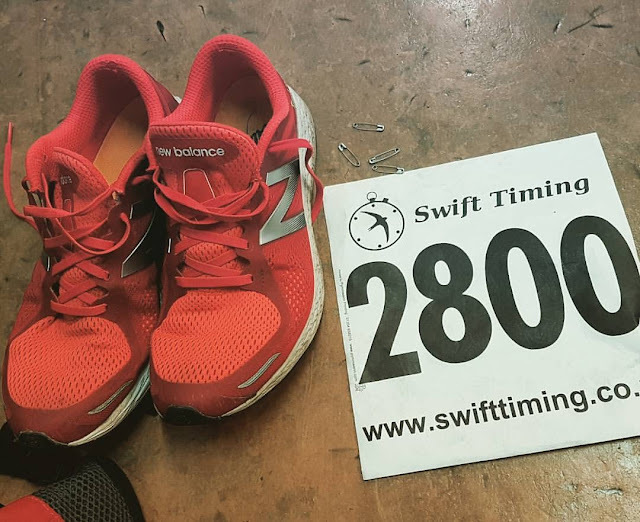 I mentioned the troublesome ankle, chatted for a bit, and before I knew it I was queueing at the late entries desk with £15 in my hand to pay the on-the-day affiliated entry fee. What I didn't mention was that before leaving home, I had packed my running kit in my backpack, so I had everything I needed to take part. This years race had a higher turnout than the previous years I had run and this was mostly down to the event moving to an early May date rather than mid-April which inevitably didn't fit into any London Marathon runners' diaries. With my training being almost non-existent in the six weeks leading up to the event, I didn't have high hopes for my performance. My main goal was to get around the course without aggravating the ankle, however I had hopes that this year wouldn't be a new personal worst. I started the race from well back in the pack and took the first kilometre nice and easy. After that, I felt like increasing the pace so I started to push a little harder, but not quite at what I'd call race pace. Over the next few kilometres I filtered through the field and generally felt pretty good. I had a slight pain in the left knee which was related to an unfortunate incident where I bashed it on my mum's kitchen table a few days earlier, however I pushed through it and it was generally fine. I took it easy through the off road section that passes along part of the Lullingstone parkrun course and it was soon time for the hardest part of the race, which is the long incline which leads up to the A225 road. Once the incline ends, the final, slightly downhill 2.5km closing section begins. It's a little hairy as this section is run an a main road with not really any pavement available to run on. Still the last two kilometres are great fun and very fast. Before I knew it, I had arrived back at the Anthony Roper School and headed into the finish funnel. 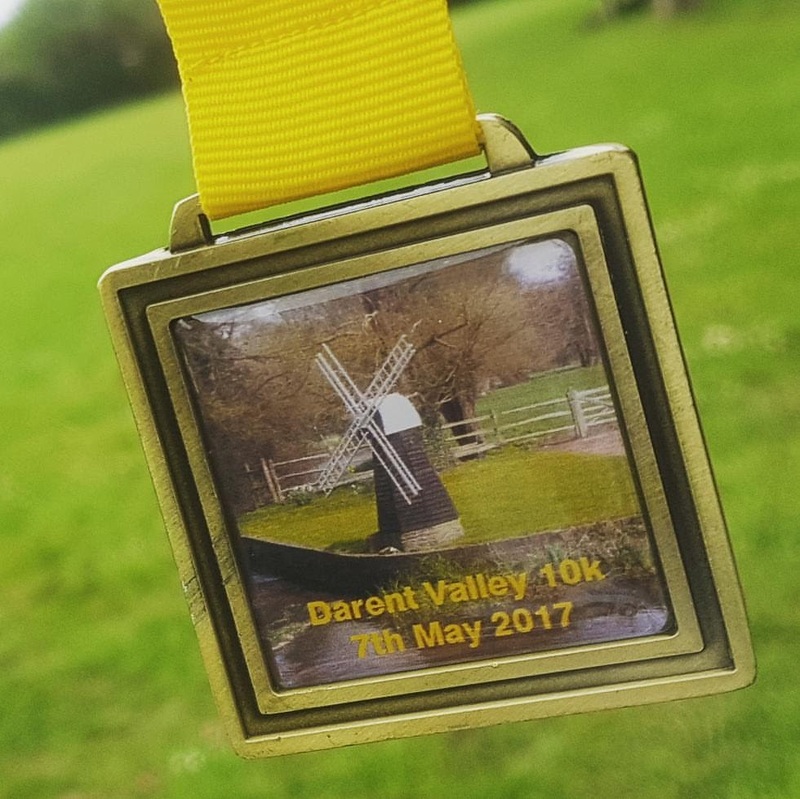 The medals at this race have quite a nostalgic feel to them and they always feature a scene from the local area. This year's medal featured a windmill and it looks great with my medals from 2014, 2015, and 2016. 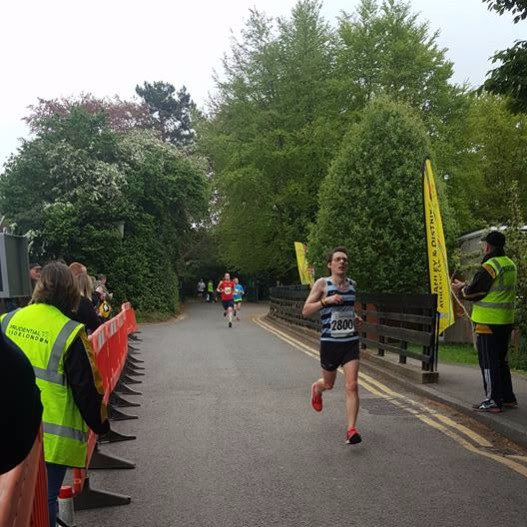 As for my overall performance, despite the lack of training and various niggles, I ran the race faster than I did the previous year, so that was pretty good!